Hold on to your hats, because the next few days are going to be a whirlwind of posts to get you ready for the New Year, Japanese style! 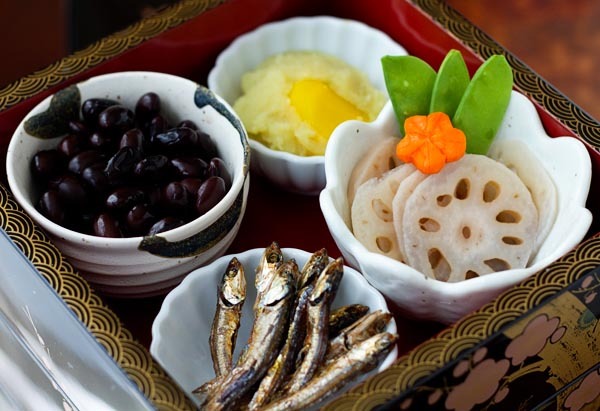 As I mentioned in my post about tai no shioyaki last week, osechi-ryori are traditional Japanese New Year foods. Today I’m going to share some of my favorites with you. Not only are they delicious, but they are all super easy to prepare. My first experience with osechi was on January 2nd of 2003. Mr. Fuji and I were living in Japan and I was experiencing my first Japanese New Year. I remember staying up late on New Year’s Eve to watch Japanese news, which showed footage of a famous temple (I can’t remember which now) in Japan where at midnight they performed joyano-kane or “night-watch bell,” ringing the temple bells 108 times to symbolize freeing the faithful from the 108 “earthly desires” enumerated in the Buddhist canon, thus freeing the coming year from evil. I remember walking around our neighborhood during the New Year holidays and seeing groups of men, with strips of cloth twisted and tied around their heads swinging wooden mallets to hit steamed rice in large barrels to make mochi. One of the days we visited Senso-ji temple in Tokyo and enjoyed okonomiyaki and jyaga bata (Japanese style baked potatoes) from the food stalls set up around the temple grounds. But one of the most memorable experiences of that New Year was the invitation to go and enjoy a traditional osechi meal at the home of one of my students and his wife (I was teaching English at the time). The whole meal was colorful and elaborately styled, filled with foods I had never seen before that teased my palate as I tried to make sense of what I was tasting. 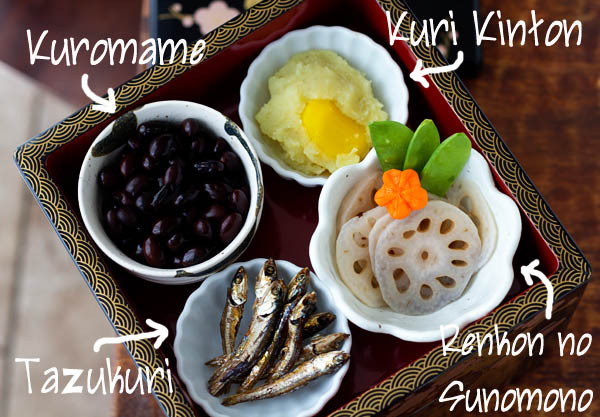 They explained that each item had a special meaning represented in the shape, color, or pronunciation of the name of the food, that symbolized good luck, happiness, longevity, or some other auspicious wish for the coming year. Everything was delicious, but some of the items that really stuck out in my mind are the dishes that I’m sharing with you today. 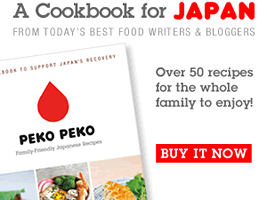 I asked my sweet friend Noriko if she would share some of her osechi recipes with me. I figured it would be way more fun to share family recipes. I keep telling Noriko that she needs to start a food blog, and she always laughs. 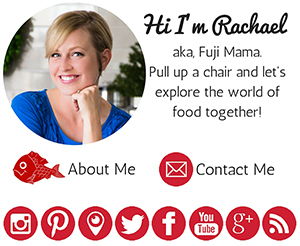 So until she does, I’m going to keep sharing her recipes when I get them, because they are always delicious! 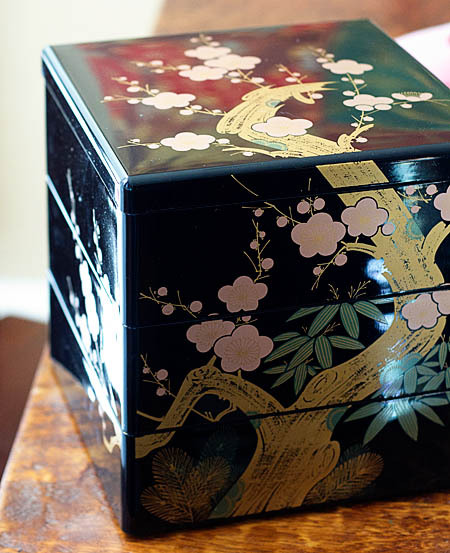 My jubako (special stacking boxes used to store and present osechi in) is a lucky find from a consignment store trip right before we moved back to the US. It makes me happy pulling it out to use it! 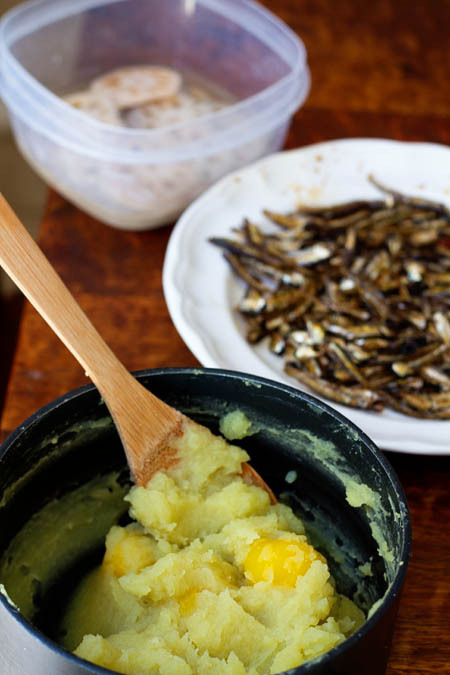 Check out each post to learn more about these dishes and their meaning and get the recipe! Rachel, this looks absolutely BEAUTIFUL! I love your new header with daughter & bigger photo on right. Perfecto! Sharing personal memories absolutely make a post shine for me. This is lovely – Happy New Year! I’m happy to contribute in any way! Girl, you sure know your Japanese ryori!!! Yum. everything is so beautiful! 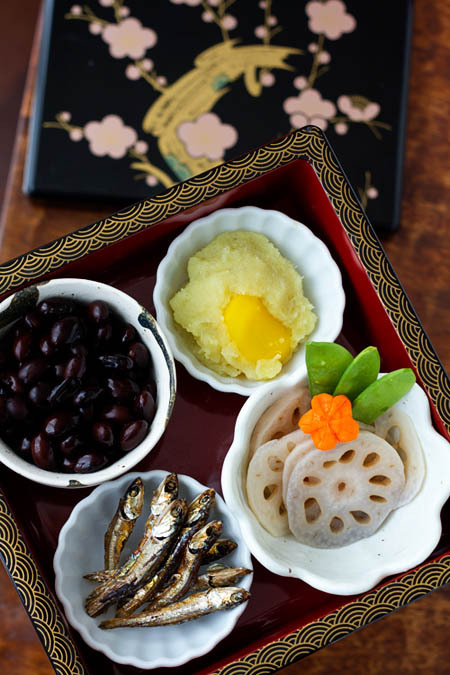 Osechi-ryori is my favorite time to cook since being a little girl at the side of my Bachan. It’s such a special time. 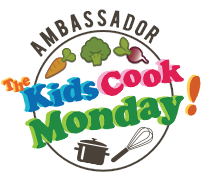 Thank you for sharing these amazing recipes. Happy New Year!